Flat rates for routine service - forget the $65 an hour charge! Flat rates for up to 10 pieces of strength equipment! Heavily discounted trip fee in most cases. We service it all - no need for multiple service providers, multiple contracts, multiple headaches. All repairs are warrantied for 90 days, not just 30, on top of OEM parts warranty. Our "No Contract, contract" makes it easy for you to save 10-20%, no paperwork required. Our technicians are local to Kankakee, IL. We'd love to help out. Same Day Service is available! We repair and maintain most makes & models of treadmills, ellipticals, bikes, & weight machines. Call us for treadmill repair and maintenance in Kankakee, IL and surrounding areas. You now have a choice for expert, professional fitness equipment repair and maintenance. You don't need to worry about a huge service "trip" fee, for a technician to come from the big city! We live where you live, and we do everything we can to coordinate service and travel to keep costs down. Let our highly trained service technicians help you get the most life out of your expensive fitness and exercise equipment! Commercial Treadmill Service and Repair: In your club, studio, or gym, treadmills take a beating, everyday. Routine cleaning and service is essential to getting long life from that expensive machine. We believe it should not cost an arm and a leg. We make it easy to stay on top of routine service. We can set appointments with you in advance, for scheduled service. We do routine service follow up calls at no charge, because we take pride in our work. We watch our bottom line, so we can watch your bottom line. Routine Service and Maintenance of your commercial treadmill is the single best thing you can do to avoid costly, premature motor, deck, or belt failures, and we believe, we provide you the single best value for that service. Give us a call and see what we can do. We specialize in treadmill repair, bikes, elliptical crosstrainers, weight machines, and other fitness equipment. Our highly trained technicians are very skilled in troubleshooting. This minimizes your cost. We only use OEM or OEM Authorized/licensed repair parts for your treadmills, ellipticals, weight machines, bikes, strength, and cardio equipment. This also saves you money.. Experience. Our chief wrench has been wrenching since the Flock of Seagulls stopped the world to melt with you. He's been working on treadmills and other fitness equipment, conducting service and repair of treadmills, weights, bikes, in the Kankakee, IL area since 2009. Dedication: We want to do it right. We want your fitness equipment to run right in Kankakee, IL or wherever it may be. No slack. No excuses. Value: We know you've got a choice for your treadmill repair In Kankakee, IL. We also know budgets are tight for fixing fitness equipment, servicing treadmills, repairing weight machines. We want to be your best value for repair, service, and that new or refurbished equipment when it comes to it. We understand there are numbers to meet, bottom line, come hell or high water (We are in the same boat). Because we know how to keep our own costs as low as possible, we know how to keep your costs as low as possible. We also know how it feels to have to have a treadmill fixed and getting smacked with a high repair bill. We can't make motors, belts, or decks cheaper, but we can keep our labor costs low and help those things run as long as possible. Up Time Matters: We understand the money value of time! No matter where a treadmill, elliptical or other piece of fitness equipment is located, Kankakee, IL or anywhere, it is there for one purpose: to run and run right. We love saving you money as much as we love keeping your fitness equipment running right! That means we have more discounts to apply to our already extremely low repair rates. Call us today to learn more (217) 636-4344. If email is more convenient, then send us a note at Service@Synrgys.com. Folks we're fired up to know & happy to refer our friends to.. 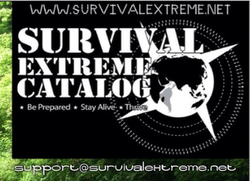 Survival, Education, Communications, Entertainment, Magazine & Products Worldwide. By Dan Shrigley.